Home » Publications » Employee or Contractor – What if I get it wrong? Employee or Contractor – What if I get it wrong? Contracting has emerged as an alternative to the traditional employment relationship. Some individuals wish only to be engaged as contractors. Contracting can also prove more cost efficient than employment. However, there are dangers in engaging an individual as a ‘Contractor’ without a proper understanding of the law. You may find that the individual is considered to be an employee at law, and this brings with it a range of legal obligations – and liabilities if you get it wrong. The Ruling specifically notes that an individual who contracts using an ABN may still be deemed employee for the purposes of the Act. This means that if you engage an individual as a Contractor, you may need to pay superannuation contributions for their benefit, even if your written contract with them does not provide for this, and even if they use an ABN. the contractor ordinarily performs those services for the public generally, or himself engages labor to provide the services. If the payments to the Contractor do not fall within the exemptions, the payments are part of the taxable wages upon which payroll tax is payable. Schedule 1 of the Workplace Injury Management and Workers Compensation Act 1998 provides a list of persons deemed to be ‘workers’. This includes a Contractor who performs work exceeding $10 in value (not being work incidental to a trade or business regularly carried out by the Contractor in his own name or under a business name) and who neither employs any workers, or sublets the contract. If the Contractor is a deemed worker, the Contractor may have workers compensation rights, and payments to the Contractor are taken into account to calculate workers compensation premiums. Most non-management employees are covered by a modern award and will have entitlements under the award to a minimum wage, overtime, penalty rates, allowances, leave loading, annual leave and long service leave. If you have incorrectly classified an individual as a Contractor, the individual may be entitled to back pay for these entitlements. If you have terminated the individual, compensation for unfair dismissal or other prohibited conduct may also be payable by you. If you have incorrectly classified an individual as a Contractor, and the individual becomes entitled to Award entitlements and back pay, you may have a liability to remit PAYG withholding to the ATO in respect to those entitlements and back pay. A ‘sham contract’ is when an employer deliberately disguises an employment relationship as an independent contracting arrangement, instead of engaging the individual as an employee. This is usually done to avoid paying employee entitlements, such as superannuation, workers compensation, leave and certain taxes. In other cases, employees are pressured to become independent Contractors, where they are threatened with being dismissed, or are misled about the effect of changing their working arrangements. The Fair Work Act provides that a person who has been a victim of sham contracting is entitled to back payment of all unpaid leave, including sick leave taken and superannuation. An employer may also be liable to civil penalty provisions. There are significant risks in incorrectly classifying an individual as a Contractor and not an employee. It is important to understand the difference. To assist you in understanding the difference between an employee and a Contractor, click here. If you or someone you know requires advice regarding any contractor or employee relationship, contact Ken Gray on 02 4731 5899 or email us on commercial@batemanbattersby.com.au. 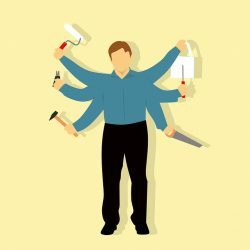 Employee or Contractor - What if I get it wrong?